So i just found you guys a few days ago and i wanted to see what i would find here. I plan on joining if i have the time but i need to ask a few questions first. 1. Whats the status of the community. 4. How many characters can i make is there a limit? 6. I have heard about this so called points, and i ask how do i get them i had read that i could get points from Rp?, what can i do with these points. 7. Whats the use for NPCs? 1. What is the technological status of this world. What devices do humans have and stuff. 2. What are the current relationship between dragons and humans, are they at war?or have they found peace? 1. I plan to make a (dragon)character who rules a (Human) nation in this world. Not a big one but just a med size one, is this allowed? If not what if i made a detailed background explaning how my character became the ruler?. Also i have not establish where my faction is on the map you can place me if you want to. Welcome to DRF, Tobe. I'm glad you found us and hope you are able to join us. Let's get some of your questions answered. 1. Though it may not seem like it, the community is active. A majority of our active members are just busy with work/school. But there are enough of us around for you to enjoy RPing here. Our site chat is not often used as most found it more convenient to chat on Discord, so if you have that we can provide an invite. If not, that's fine, we can certainly start using the site chat more. http://www.rpgdragons.org/f84-character-registration so staff and other members can see how many characters you have. 4. When you make a character, it must be mortal, yes. Semi and full gods can only be obtained through Dragon Points and events respectively. However, you may make a demigod from the start only if they are the child of an existing full or semi god, or have been given divine status by a full god. You must have the permission of a full or semi god character before you can do this, of course. 6. NPCs make up the bulk of the tribes. As a result of the monster event, all have been killed off except for those used by members, for example, my main character has two guards that are NPCs. 1. This world is in the Medieval era. Humans have swords, shields, spears, etc. The kingdoms and larger cities are better equipped to defend against dragons, having ballistas, catapults and nets. 2. Dragons and Humans hate each other. With very few exceptions, they do not coexist peacefully. Dragons have been captured and used as slaves. 3. The races that inhabit Pyrria are: Dragons, Humans, and Lesser Species. There are, as you may know already, 8 species of Dragon: EarthWing, FireWing, SkyWing, SeaWing, IceWing, NightWing, LightWing, and ElderWing. The ElderWings are NPC only. The Lesser Species are: Griffons, Fire and Ice Phoenix, Thunderbirds, and Manticores. As for your personal question, this might be acceptable if you can explain why your character would choose to rule over a human kingdom instead of just destroying it. Why did the humans allow this instead of trying to drive you out by calling for help from neighboring settlements? Let me know if you have anymore questions or if I didn't quite answer something fully. The Avan people had lived in peace and contentment even if they had been ruled by dragons they had mostly dedicated thier time in researching technology and did not mind much about the affairs the other humans and dragons were having. All was peaceful to them. Until one day the humans had started to revolt thier dragon rulers. Fearing a war the humans would not win the Avan people had came to a conclusion. That is to use thier technology to go into hiding. And so they long before they had discovered how to harness the powers of dragons not to the extent of using it as a weapon but as a teleportation device. The Avans had to act quickly building thier temple of power to escape while secretly keeping it away from the eyes of the dragons who ruled over them and the humans who would call to them for help. After the temple had been built, the humans had planned to kill the dragon who was ruling over them at the time. A weeks worth of preparation in playing had payed off for the Avans, they had tricked the dragon to following them to a place where they had told the dragon of something worth checking. When the dragon was in the right place the soldiers attacked the dragon and killed it but not without losing many of thier own. During the time this had took place the humans were still fighting off the dragons. After everything was set the Avans harnessed the power of the dragon and used it to activate the teleporter. Time had passed and the Avan was exhausting thier resources the ore rich mins were now nearly empty, the farmland was no longer usable. During this time the Avans had grown in strength and numbers. But as resources became shorter they knew they had to do something. The decision was made the Avan would go back, back to the lands where humans hated dragons. 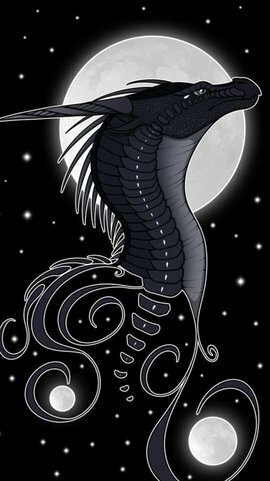 Only a few dragons were raised successfully during thier time in ocean. The other dragons had to be slaughtered as there were no way for the Avans to power the teleporter again. And since the dragons bearly had any powers many were......taken. The Avans hoped for peace with whoever is still there.if there were still dragons or humans. Only one dragon was remains and he was Tharasis. Before the King had passed he had told his people that Tharasis would be his successor for he had no children of his own and Tharasis had served as an advisor for the past many many many years. And he knew he could trust in him he was loyal and smart and is more than capable to lead the nation in thier darkest moments. He had once served as a General when a revolt had started in the kingdom. He had stayed loyal to the King while most of the Royal court members had fled or had betrayed the King. And so armed with thier superior technology, bravery and , determination the Avan will return. And when they do they will find a new changed world one very different , they don't know where they will end up in the teleporter will choose a random location for them. And when it does there is no going back. 1. The Avans have no idea where they will end up in when they teleport so You guys can pick where my nation will spawn and keep in mind this will have a permanent effect. 5. The technology of ours gives us an advantage if you compare guns to swords and bows we are in a way Stronger but not O.P we don't use bullets we use Musket balls. Our Muskets won't be able to penetrate the Armoar of dragons . Only explosives and cannon balls will be able to do this. 10. Tharasis will be welcoming to anyone who would like to talk to him. He is very curious about this new world and would like to hear from you. He would expect a faction to send thier leader or someone of importance to represent as thier faction but he would also like to speak with any dragons really. should they choose to represent a certain faction or come to talk to him about something important. If you had reach this part thanks for reading this is in WIP and I have yet to polish and fix some information that is listed here feed back is highly appreciated if its either good or bad I will keep in mind your opinions and or facts or rules when expanding the information of this faction. It's fine if your nation comes from another world with advanced tech, but once they come to this world, they should no longer have access to it. It is indeed a little OP to come to a world you are unfamiliar with and yet be able to just take on any threat that comes your way. Only issue I can foresee is with this Kingdom being technologically advanced, mentioning they use muskets, canons, explosives and what have you means that the civilisation has discovered gun power which once discovered is quite easy to replicate, meaning they will be self sufficient to develop the technology. And should this kingdom trade with the other Humans of the world we'd quickly find ourselves consumed as the humans advance past the medieval period they're currently in. We did not come from another world. we used our tech to escape this continent when the humans had revolted and we came back the only downside is that we don't know where we will be placed for all we know we can be teleported to the top of a mountain. I can get rid of cannons if you guys want. But I still want to have muskets and explosives even if it is very early in the stage of guns order weapons . I just want my empire to stick out from all the others and be something unique and different. My level of tech has muskets but it is still not the best. Bulky, long reload times, heavy, and inaccurate are the most common disadvantages muskets have. If you want to compare my army that uses muskets to the other factions. Infantry uses matchlock muskets and is equipped with bayonets in case of a melee confrontation happens they posses no Armoar and is very vulnerable to chavalry charges. For the bow and crossbow version they use a matchlock that has a barrel with the length of 90 inches they have to use a poll or a stand to properly aim ,making them static until they fix the weapon to be able to move ,they trade firepower over better accuracy and range. making them sitting ducks for chavalry charges without proper protection. Bows and crossbows are still superior to muskets in terms of accuracy and precision and I plan to stick to that for balance. Our biggest danger is rain as it dampens the weapon rendering it unable to fire and becomes useless and requires it to be dried to be able to use it again. I was planing to include airships btw. Also the invite to your discord had expired when I tried to use it. Regarding the muskets, to restrict your country destroying the other human nations and city states even if the musket balls don't pierce a dragons hide, I'm thinking the lack of flint locks, using the very early use even before a match lock mechanism. Meaning the muskets fired will be holding a burning wick to a touch hole in the barrel igniting the powder inside. A shooter uses one hand for firing, and a prop to steady the gun. As for your explosive weaponary I'd suggest ballista and trebuchets with burning pitch, fire pots and other incendiary like throwing concoctions what explode of sorts upon impact, being another early form of thermal weaponary without using high grade actual explosives. This would still make your country the most advanced for the current era as the majority of humans use just flaming ballista and what have you. We may have to change the demographics of your nation as well regarding the size of its army and population regarding its cities, as I'll have to cross reference your current demographica with the ones our current human nations have. Airships will sadly have to be a no go. I had done a bit of researching and this is what I found. So for my infantry I would most likely use flintlock mechanisms as it is more simple and easier than using the matchlock. As for my skirmishers they would either be using flint or match lock mechanisms I also found out that they use the rifling technique in order to have more control to where the bullet will land. This of course mean that the barrel had to be made longer and as a result takes more time to load. As for my explosives I will use your idea about the use of ballistas and trebuchets it will replace my cannons. That all I think I can provide for you if you need any other information just ask me and I'll try my best to provide you with as much info as I can. Being able to teleport their entire kingdom is more highly advanced technology than their muskets. That's sci-fi level tech. They wouldn't have been able to simply use dragons to do it because only the full gods have access to that level of magic. So I'm afraid they won't be able to have originated from this world, not only because it wouldn't have been possible for them to leave it, but also because they couldn't have progressed so far in their technology while every other kingdom, city, village hadn't. As for the muskets, this is more advanced than anything any other human has in the world. Like I said before, they'd have to have come from another world to have this tech but once they got here they would lose it. I see my colleague here has offered an alternative to allow you to keep them, but I would see no use in having them at that point. They would just be too time consuming and risky to use in the middle of a battle. The alternative he gave to your explosives is fine and you can use that if you want to set your nation up to be unique, but the muskets and cannons will have to go. Finally, after talking with Tenebris and learning about the demographics of your nation compared to a typical nation of the time period we are in, your nation is too big. You'd be like the Roman Empire compared to the other three kingdoms we have and able to overtake anyone with your army. You'll have to reduce the size. Indeed, you may have to reorganise your whole concept. Given that the world is set in a medieval setting, we're talking about 1200's -1300's technology here. Due to that again with the demographics our current human populations regarding their Kingdoms are more or less mere City states, you also have to keep in mind the world is dominated by Dragons and thus expansion on the Humans part is highly restricted as a huge rising power would immediately attract the attention of the Dragons of the world. Hence why a lot of the human communities and kingdoms are isolated to small pockets really. I agree with both of you guys and I will take away muskets and cannons and all that. As for the empire I made can you give me the demographics of the other factions? I don't really know how large nor powerful they are really. That's why I may have made an empire equivalent to the Romans. As with regarding my level of technology. I'll try to advance in tech but never try to pass through the medieval age. But I will lose most of my tech which I have a backstory for. What if we were teleported to a island instead of the mainland. Would not the dragons notice us since we are far away? Nor would they even attack us since we're not intruding thier territory. 2. We did not originate from this world? Or continent? 3. We're mostly like all the other kingdoms. 4. We teleported to an island not far from the mainland. 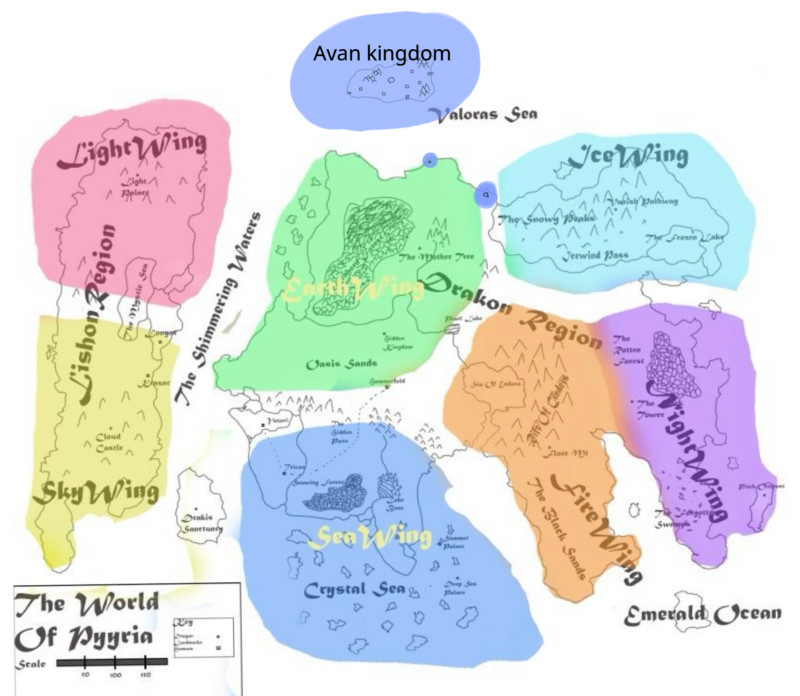 If you were on an island, then the dragons wouldn't even know you exist--except maybe the ElderWings, depending on where your island will be located in relation to their --deathbattle you came to the mainland. It's not like they fly around looking for human settlements to attack. If you want to originate from this world but be on an island instead of one of the two main continents, then you'd simply be on that island. You wouldn't be able to say you teleported there unless you came from another world. As for the demographics of our largest kingdom, Tenebris will be able to answer that since he created it. I'd say I'd been teleported to that island. We teleported here in this island we came from another world from which we had fled from. Because of ( insert reason here ) and now have ended in this world. Tharasis the dragon is the one who currently is the ruler of the Avan Kingdom. We were mostly isolated and did not knew anyone that was (during the human revolt). Until we had decided to build ships and finally explore the unknown which had led us to finding 2 continents. (This happens in the present ) Then we had built the 2 first settlements. The first colonies of our nation. The settlements aren't to big they were built to act as an outpost for the expedition force. The settlements has little defenses. They still don't know who is out there in this new world nor do they know of the history that happened here, they also don't know what factions rule over these lands..
And that's how I came here to this world, and now I will find out who lives here. Okay, that's fine. Here is a map of the world. http://www.rpgdragons.org/viewimage.forum?u=http%3A%2F%2Fi38.servimg.com%2Fu%2Ff38%2F18%2F97%2F23%2F39%2Fpyyria10.jpg It's an old map so it doesn't show any human settlements and exactly where they are. That information, of course, can be found in the other links I posted. I placed the island , marked my territory, and placed the 2 outpost in the mainland. Oh, how did you do that? I've been wanting to add Daelorios Island to the map. Also what do you think of the placement of my island and all that. Also how do I change my name from Tobe to Tharasis? Ah, well at the moment I only have my tablet and prefer using my laptop do such things. The placement of your island is fine. And I can change your username. If you can download medibang paint on your tablet you could still do what I did with my iPad. Also that discord invite you sent to me it had expired. Yeah, I know how to do all that, I was just wondering what you used.